The Victorian plum trees visible about here stand in the remains of gardens of Victorian houses, now demolished. These trees have integrated well into the vegetation of the Nature Reserve. 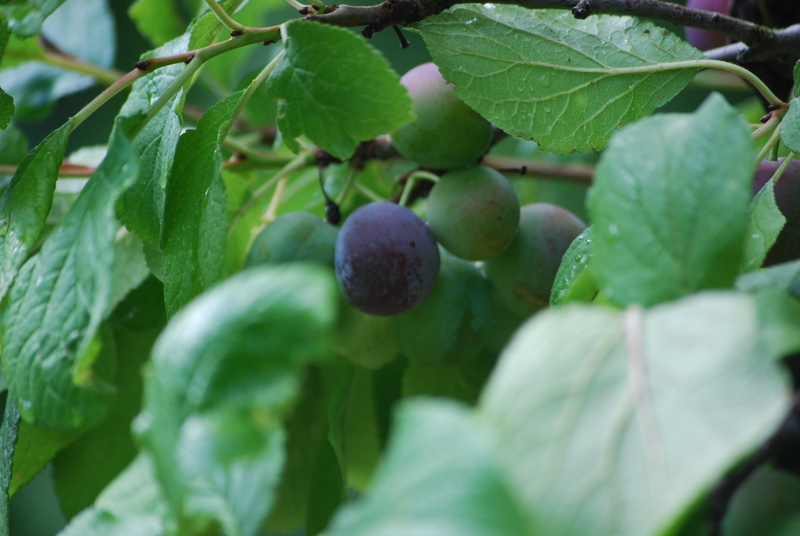 Other orchard fruit around here includes apples, crab apples, green gages, bulus plum and sloe. These fruits are frequently the focus of attention of the rare calcydic wasp and other insect predators. To your left, down the path, is a newly planted orchard.